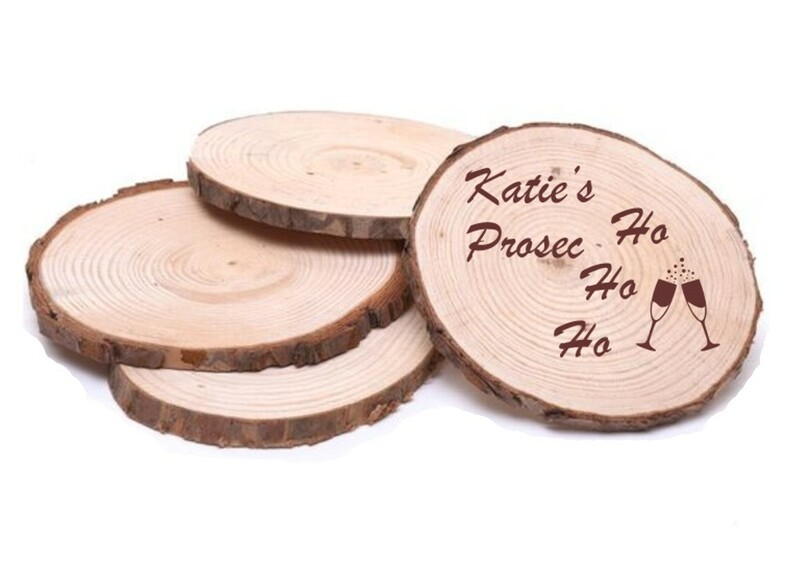 Personalise these great coasters with your choice of name, Prosec Ho Ho Ho will be engraved as standard. These amazing coasters come in singles, a set of 2 and a set of 4. The diameter of each coaster is 100mm and the thickness is 8mm. These are real wood coaster slices so each coaster is different, they are neatly sanded and have a natural rough bark edging. All you need to do is let us know the name(s) to be engraved, if you purchase a set of 2 or 4 you can have a different name on each coaster.